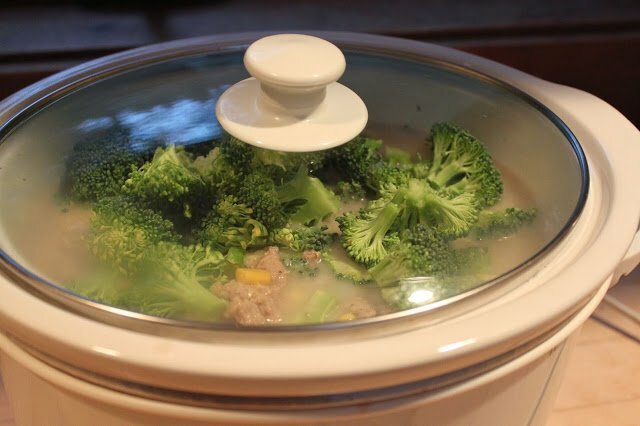 My first crock pot recipe was a huge hit! So I am back with more. This recipe happened by accident. Kristi and I were sitting at the dining room table talking about what ingredients we had in the pantry to throw into a crock pot. Then this soup was born. 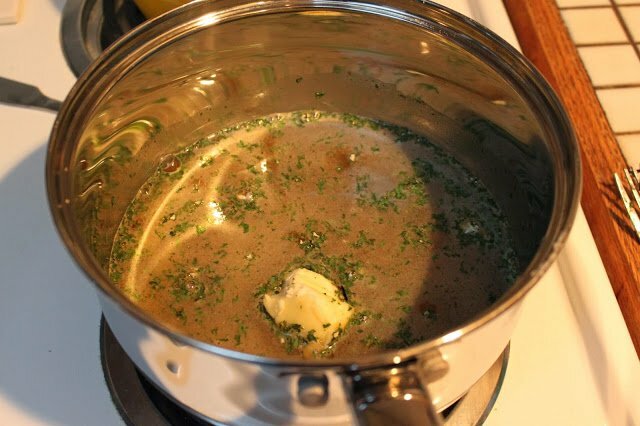 It might be one of my favorite soups…ever. 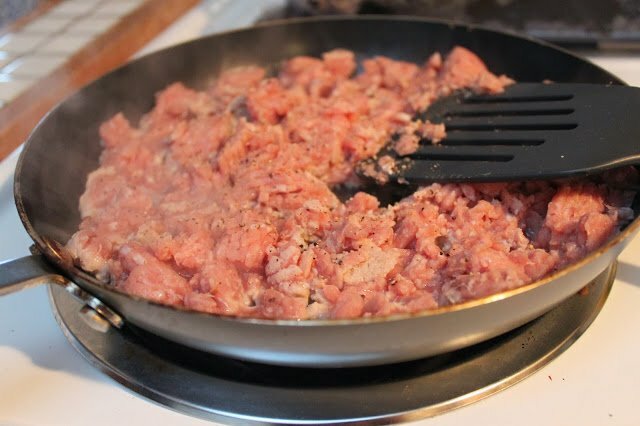 I started browning the ground turkey. Seasoned with salt and pepper to taste. Once brown drain and set to the side. Next we cooked the rice as according to the package but only for 30 minutes in a separate pot, we combined the rice in the crock pot for the final stages of cooking. Next we chopped up the about 1.5-2 cups of broccoli. Then added the two cans of soup- followed by two cans of water. 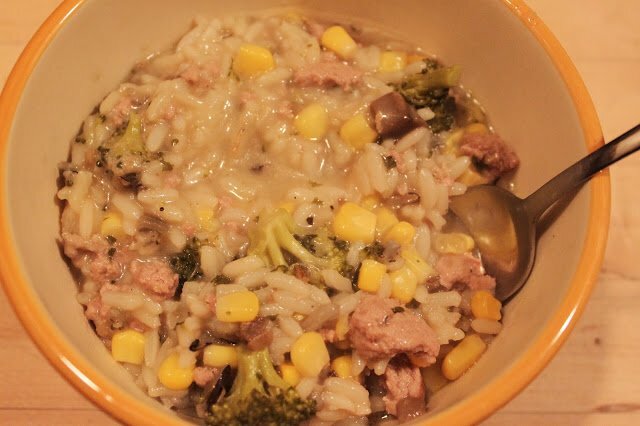 Then we added about 1 cup of frozen corn, the semi cooked rice and browned meat to the crock pot. We let it sit for about 2 hours. Then served. SO good. I had two bowls. Recipe: Spring Time Cocktails + Giveaway! 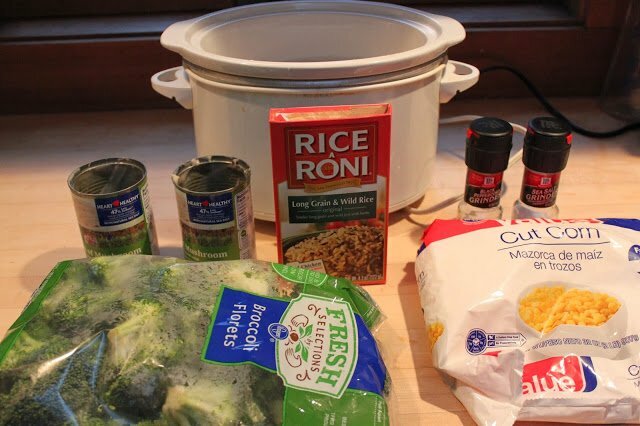 my fav crockpot meals often come from what do i have left in the kitchen that i can use? !